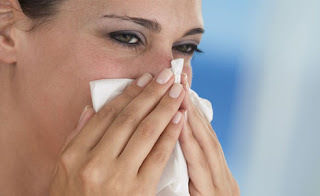 Cold and flu season is in full swing and for many of us, that means resorting to a pharmacy worth of cold and flu meds. But is this really the best way to beat a cold? According to the FDA in the US, a old wives remedy as simple as honey beat over-the-counter cough suppressants for effectiveness. Drink lots of water - according to Victor Sierpina MD, author of 1000 cures for 200 ailments, for your respiratory tract cells to function properly and fight off infection, you need plenty of fluid. Take probiotics - "friendly" bacteria such as acidophilus (often found in yoghurt as well as supplements) are believed to help your immune cells, the majority of which are in your digestive tract. look for yoghurt that is labelled "live cultures"
Eat well - seems like a no-brainer, but it is amazing how many of us forget that a constant supply of fruit, vegetables and protein are essential to your body's defenses working the way they should. your grandmother told you an apple a day keeps the doctor away, and it seems she was right. Apples (as well as red onions) are an especially concentrated source of the antioxidant quercetin, which is believed to be highly protective of immune functions. make sure you get your 2 fruit and 5 veg daily. this is especially important when using shared equipment like phones and computers. Wash your hands well after touching these, as the cold virus can survive for quite along time on hard surfaces. Keep your nose clean - carry on with the saline nasal spray, or use a neti pot to flush out your nose. Broken record - keep up with the saline nasal spray! Not only does it flush and disinfect, adding back some moisture helps prevent reinfection.